A, B, C, 1, 2, 3 and Newton's laws. How to start a business, how to be successful and how to find your purpose. Confidence, kindness and forgiveness. We learn all these things and so much more from teachers. Teachers...the people that influence how we think, how we feel, how we learn and how we see the world. All of us are teachers at some point. Everyone we meet has the potential of teaching us something. Our teachers range from parents to school teachers, from pets to enemies. Lessons are all around us. In life: From the moment we we are born, we learn. Everything we encounter; everything we see, feel, smell and hear teaches us something new. School teachers help us learn all the motor skills we need, the caring for others, sharing, to focus, to complete projects. They develop our minds and teach us to reason and question. We also have other teachers: parents, family, friends, pets and bullies. Our parents teach us about right and wrong, to follow a routine, to be safe and that actions have consequences. Our pets teach us about responsibility and unconditional love. Our friends teach us to conform or be individual. They teach us that things can change in the blink of an eye. Bullies teach us to stand up for ourselves, to defend ourselves and to remain strong in the face of adversity. Every person we meet has something too teach. The cool kids, the weirdos, the jocks, the smart kids and the bullies - they all teach us how to be stronger or better or they teach us how we do not want to be. When you think back to your school years, you will remember the nursery teacher who taught you to draw. You will remember the dog you fed and loved with all your heart. You will remember the friends who played in the mud with you and who you shared your lunch with. You will remember the school teacher who engouraged you and taught you to read. You will remember your parents teaching you the ride a bike, to drive a car or taking you to ballet class.All these people were teachers in our lives and they all had an influence on who we are today. In love: Our relationships - family, friends, lovers and enemies - they teach us about love and loss. Our parents teach us about give and take and about loving each other. Our friends teach us to be there for each other no matter what - to support where needed, to vent and cry and to share our feelings. Lovers teach us that being in love makes you crazy and that one person can change everything. Exes teach us to hate, be angry, cry and pick ourselves up again. They all teach us that time always runs out and that we should spend as much time as we can with those we love. In labour: We spend most of our lives doing a job to earn money. The workplace teaches us communication, time management, the benefits of caffeine, that 24 hours in a day is never enough. It encourages us to strive for success or be content where we are. For some, it creates the perfect environment to find the inner self that cannot be stopped until success has been achieved. Work teaches us many lessons. It teaches us that everything changes and that some things never change. In last: School teachers are truly amazing. Despite the fact that they spend most of their working lives moulding our minds and skills and preparing us for the big world, they are often criticised, belittled, yelled at and taken for granted. There are so many things that we would not know if we did not have school teachers. They teach us new things everyday. Everything from math to history, from discipline to fun, and from listening to growing up. They teach us to become ourselves. All of these people help make us who we are and we should be grateful for all of them. Teachers are angels. Teachers are guardians. 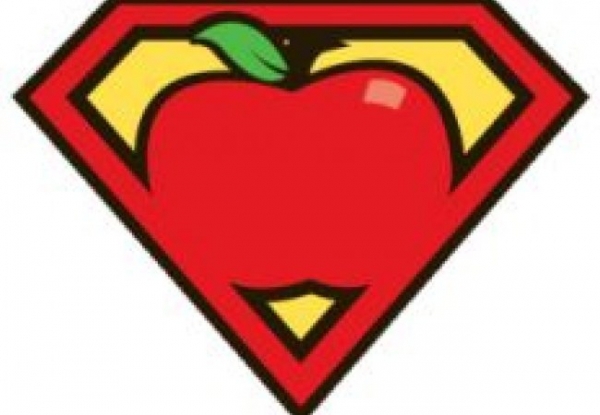 Teachers are superheroes.